Here is an inside look at what it is like to live with a mental illness and how individuals and their families find their way through medical, governmental, societal and spiritual issues -- to hope. Ten people with mental illness tell their stories, and many experts and advocates in the field add helpful perspectives. Bonus material includes more personal stories and historical background, help for churches in relating to mental illness, support of family members, self-care, and more. A PDF discussion guide is included. Fullscreen. Not too long ago, mental illness was considered to be a hopeless, deteriorating condition: patients were simply warehoused in asylums, isolated from their families. During the 1960s, the deinstitutionalization movement (in which the mentally ill were released into the community) was seen as a big breakthrough, but some patients ended up being sent to another form of asylum, the prison system. 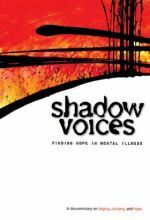 Today, mental health professionals realize that recovery is possible, although mental illness remains “the only illness in the world where you never get a covered dish.” Shadow Voices is a splendid, comprehensive overview that looks at both the history of treating mental illness and current programs offering new alternatives, while also presenting 10 eloquent testimonials from people who are schizophrenic, bipolar, obsessive compulsive, or have other conditions, who lead productive lives even as they continue to struggle with affliction. In addition, the documentary features commentary from professional health experts, looks at awareness education for police and clergy, and notes the need for health insurance reform. While Shadow Voices is presented from a Christian perspective, its content is universal. DVD extras include bonus material on how churches can help, the importance of support from family and friends, personal profiles of participants, and a PDF discussion guide. Highly recommended. Editor's Choice. When you hear that someone in your congregation has been diagnosed with a mental illness, what is your first reaction? Do you know what to say? Do you avoid the person? Do you even suspect that the illness is connected to a lack of faith? Some of us can more easily handle a diagnosis of cancer or heart disease than acknowledge depression or bipolar disorders. Yet forty-five million Americans suffer from mental illness, and it is important that faith communities minister to their needs. 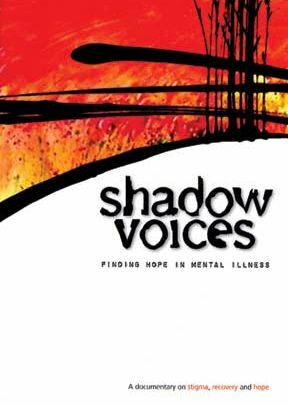 Filled with interviews and information, Shadow Voices: Finding Hope in Mental Illness provides personal stories and covers history, the lack of insurance coverage for those who suffer from mental illness, and how society often ignores or ostracizes the mentally ill. Each of the interviews increases viewers' understanding of those who have suffered mental illness and who are working toward recovery. Describing depression, bipolar disorders and psychotic episodes, the stories by contributors from a variety of backgrounds will touch your heart. Produced by Mennonite Media for the National Council of Churches, this is a powerful resource for Christian ministry. Bonus features include more personal stories, historical background, ways churches should respond to mental illness, and support that spouses and relatives can provide to family members. This DVD should be required viewing for pastors and congregations wanting to minister to all members of their churches.